I'm sorry this post is late.....I have good reason. We buried my father in law last Tuesday and my mind just hasn't been with it. 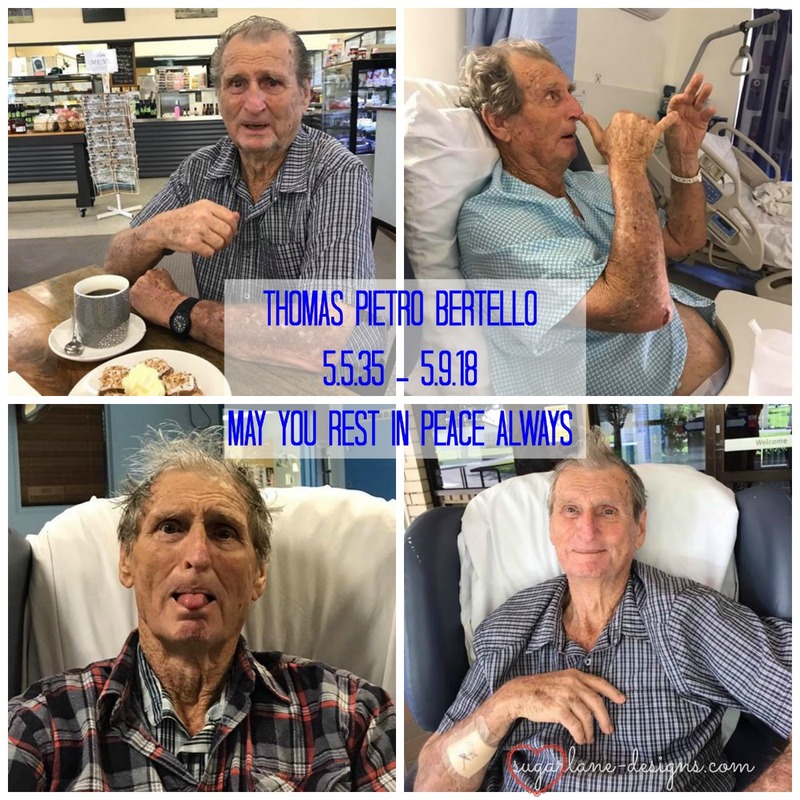 He deteriorated quite quickly and (let's just say) was forced to move into the Aged Care Home which he didn't handle very well. He moved on the Thursday 30th August, went into a coma on the Monday lunchtime, was transferred to the hospital Monday night and never recovered. He passed away with family surrounding him on Wednesday 5th September at 5.15pm. He was 45kg when he died....a mere shadow of the man we knew and loved. 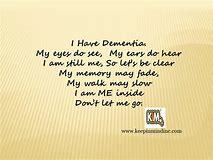 Dementia is seriously the new 'cancer'....it eats away at a person until they are no longer there. So much research needs to be done to understand this horrible disease that takes our loved ones, young and old. I pray that he knows how much he was adored by his family. When I married my husband, they 'adopted' me as their own, and the running joke was that he was the son-in-law and I was the daughter...…..I miss him terribly! So this Friday night Sew In is in memory of Dad and all those who have suffered/are suffering from Alzheimers/Dementia, or any of the other forms of Dementia. I feel for every single one of you dealing with it. Just remember, the person is still there and still needs you, don't leave them alone. 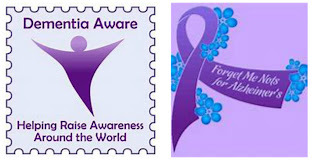 I'm Dementia Aware, are you? Add the above button to your blog or social media account to let others know how you feel. Make sure you add the link too so that we may all learn just that little bit more about Dementia. Links for this week's FNSI are now live...….just sign up below and spread the word. I hope you can join with me on Friday night and spread the love. So sad for you Wendy - but he is in as better place now. My thoughts are with you and your family at this very sad time. I'm so sorry you are going through this. I know how hard it is. Keep strong and take as much time to heal as you need. 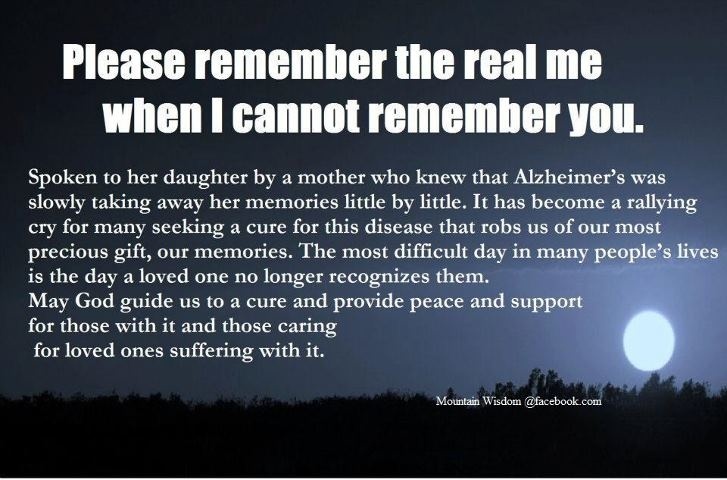 Alzheimer's/Dementia is such a horrible illness. Try not to be too sad. You've got precious memories. Hold on to them tightly! 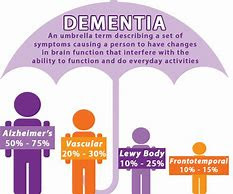 Oh Wendy, yes, so very hard - my mother had vascular dementia and it was very difficult for us all. 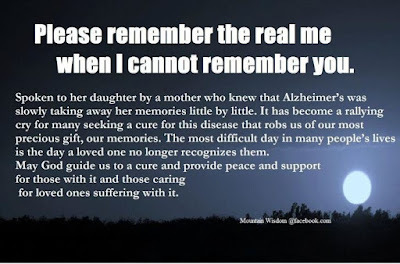 Luckily for us, when my Dad got Alzheimer's he just got very forgetful but passed away before his behaviour changed for the worse, which is often the case. Thinking of you and your family at this sad time for you all. Hello and I must add my condolences Wendy to the list. My older daughter is a health care nurse in a home for women with Alzheimers and I have some understanding of the stress involved. Always hard for the family. Take care.